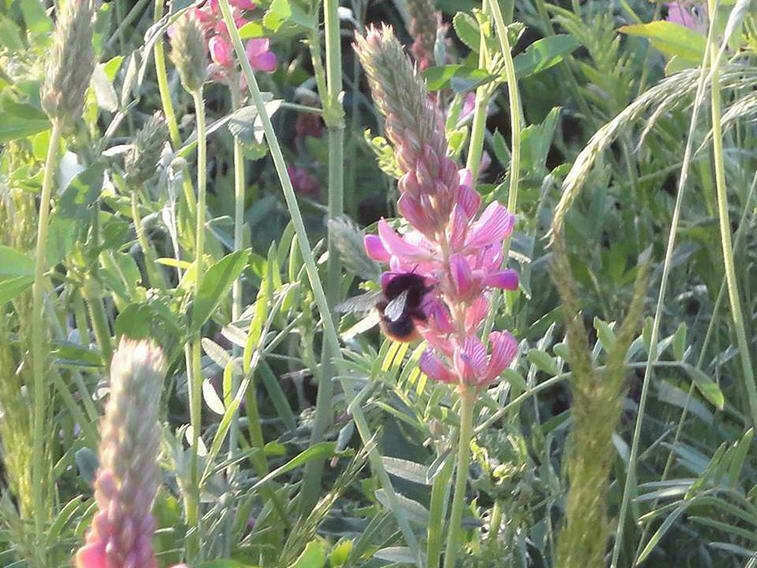 Food crops take goodness from the soil, so after harvesting four years of crops, clover is grown for two years, to help restore the health of the soil, and build up new reserves of Nitrogen. Natural fertilisers like farm manure - dung and straw from the cattle building - enrich the soil and encourage plant growth. Trees and hedges are planted to provide homes for birds, bats and predatory insects like lady birds. These creatures then feed on insect pests which could otherwise damage crops. Because chemical fertilisers and pesticides are not used, there are no poisons to pollute water, soil and your food. Farm animals have access to fields and fresh air and are fed a healthy, natural diet with no routine use drugs or feed additives. The good quality of the life led by organic animals minimises illness, but if animals do fall ill, they are immediately seen by our vet, and if necessary treated with veterinary medicines. Climate change is the greatest threat to our future, and the more extreme weather, storms, and particularly droughts and periods of unusually heavy rainfall, are already affecting our farming at Courtyard. Organic farming uses less energy, and generally creates less greenhouse gases, to produce food, particularly by avoiding using manufactured fertiliser made with fossil fuels. However we do use electricity in our grain barn, office and workshop, and so do the houses on the farm. 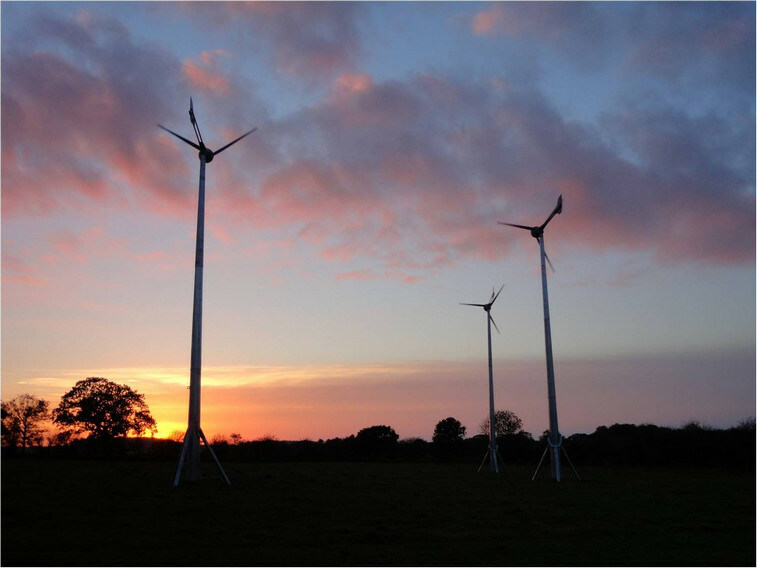 To reduce further the greenhouse gases we are responsible for we have installed three 5kw wind turbines near the farm buildings, which help to reduce our electricity consumption, and make the farm more environmentally friendly. Courtyard Farm is certified by the Soil Association. 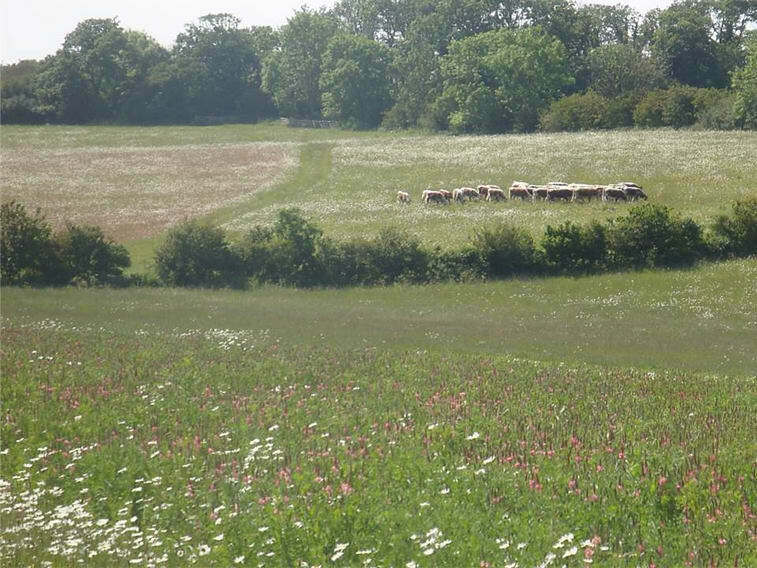 The Soil Association's organic mark is a guarantee to the consumer that food is produced to the highest standards of animal welfare and environmental protection. 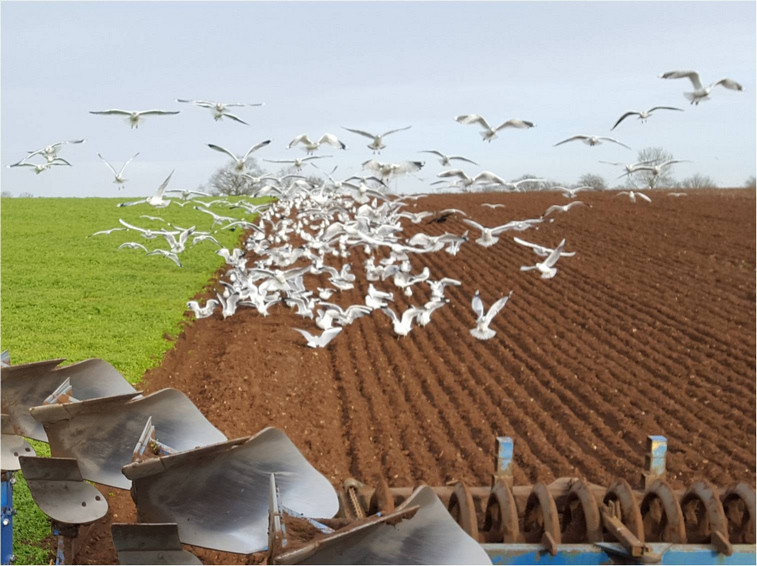 The Soil Association believes that organic farming is the only way that high quality food production can go hand in hand with caring for the countryside and its wildlife.